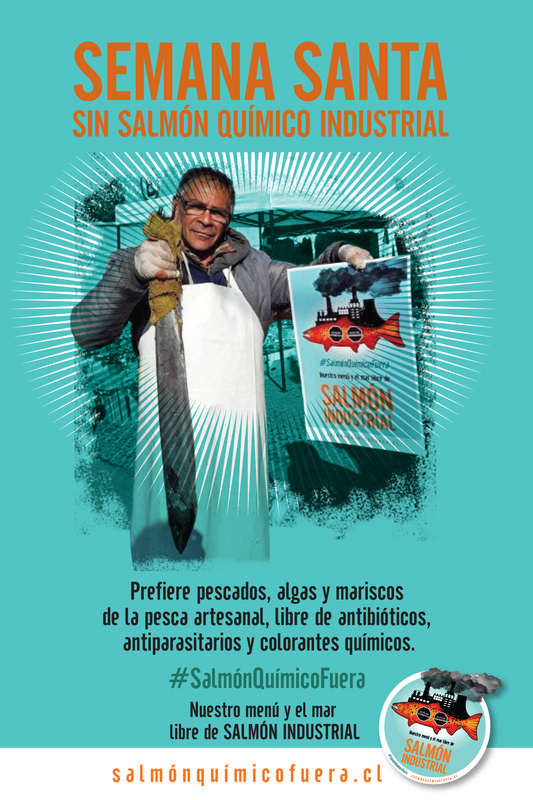 In the Chiloé archipelago, almost 40% of the Chilean salmon production and exportation takes place. The coasts, bays and fjords of the area have been forced to bear the persistent chemical and organic contamination of this industry, one which also occupies the marine zones of artisanal fishers and Mapuche communities, that before were being used as fishing and algae and shellfish collecting ground, as well as transport routes for the local communities. 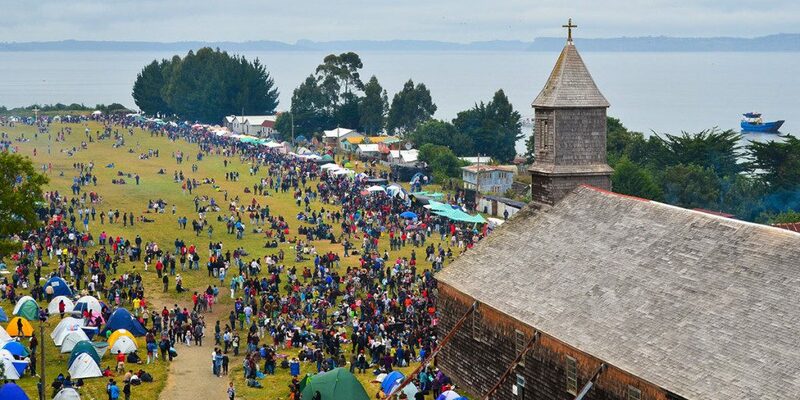 The evaluable cultural heritage linked to the popular and indigenous religiosity has started to face the salmon corporations disrespectful expansions, which threaten the most important spot for spiritual pilgrimage and social encounters for the communities in the archipelago: Caguach island, and its’ sanctuary Jesús Nazareno. 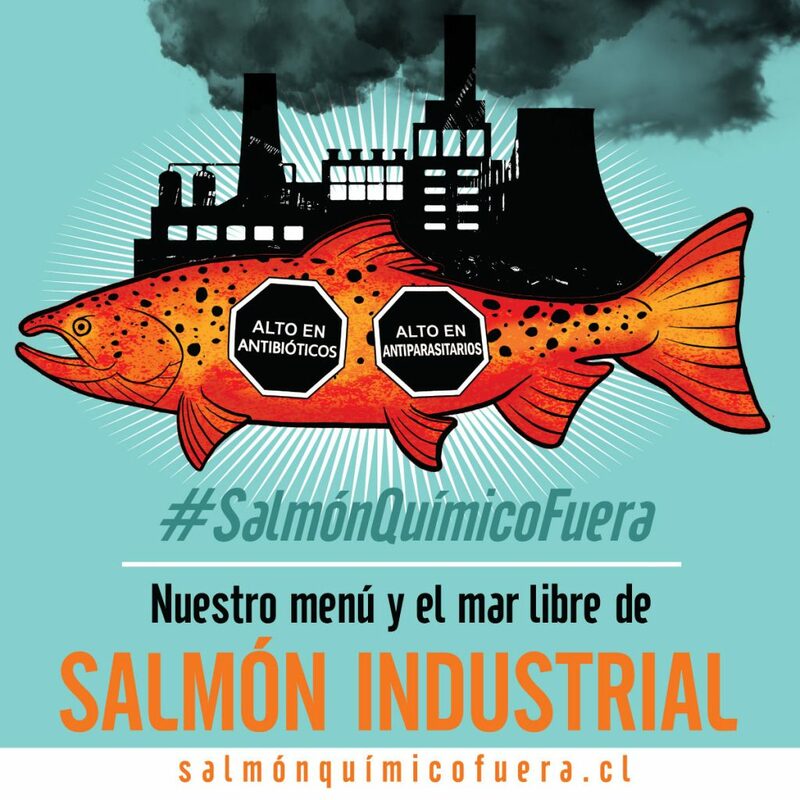 After an intent to occupy these aquiculture spaces, the unity and resistance of the coastal organizations and indigenous communities has managed to expel the salmon corporation Trusal S.A. 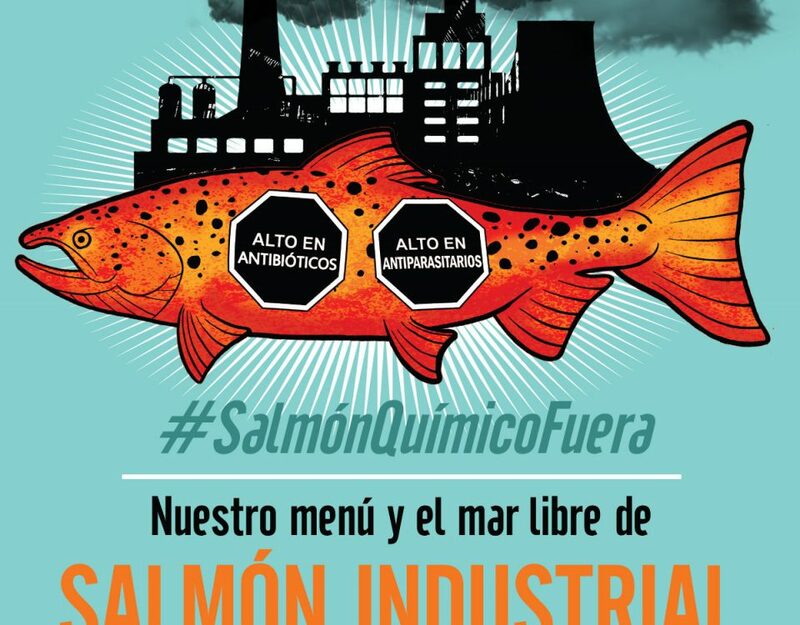 The coastal communities found out about the salmon company’s aim after Centro Ecoceanos spread information about Trusal being in the process of getting an 8 hectare marine concession to farm mussels, precisely in the area where the inhabitants of the 5 smallest islands anchor their boats. 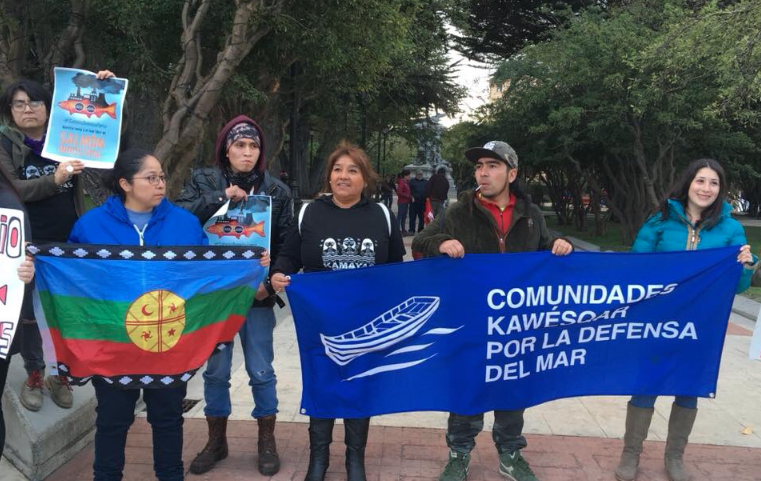 After detecting the news, religious groups, Mapuche communities, fishers and local organizations met with authorities to demand the rejection of the aquiculture company’s’ installation, as these industrial operations infringed the main religious celebration of the area. 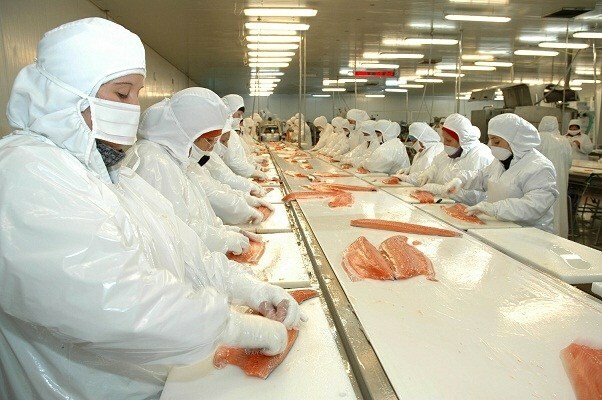 They communicated likewise to the company that they would not allow the aquiculture farming operations. Facing the unity and determination of the community, Trusal finally found themselves obligated to officially renounce their aquiculture concession.